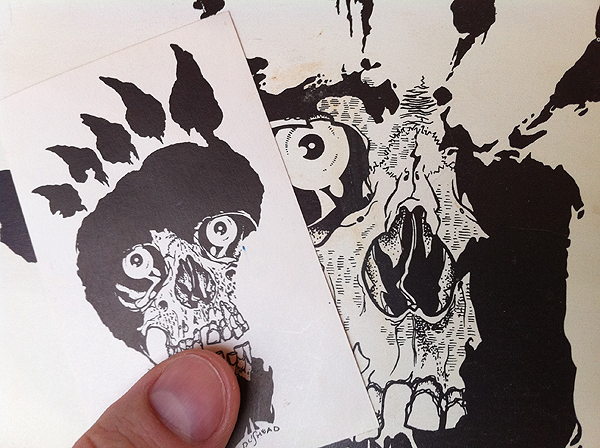 More old mail; in 1987 I received the Pusmort sampler with “Hand of Fear” artwork on the sleeve. I can’t remember now if the “Foot of Fear” sticker came that year or not. The EP has a bit of yellowing and a crease on the sleeve’s opening.